The European: Mr. Keen, in the Washington Post’s review of your new book, The Internet is not the Answer, it is pointed out that many people refer to you as a Luddite but that that is not necessarily a bad thing because it means being first and foremost pro-humanity and not anti-technology. What’s your take? Keen: It’s just one of those terms that has lost any kind of meaning. I always associated the term with the smashing of machines, with violent resistance, of which I am not in favor. So in that sense, I don’t want to think of myself as a Luddite. The European: And in another sense? Keen: In America, everybody who’s questioning technology is automatically a Luddite, and in that sense I am ok being one. But the implication of this is that it has developed into a pejorative label. It means that you’re reactionary, and I am very far away from that. I am neither reactionary nor nostalgic. I just think we ought to have the right to criticize technology while at the same time recognizing that it is the future – for better or worse. In fact, I believe it is the utopians that are the real Luddites. Keen: Utopians are nostalgists. They cling to these romanticized ideas of the past and think we could go back to a better world. So those that currently live in public dream about going back to a world of small villages. Utopians in the entertainment industry dream about going back to a world without huge record labels. Even Marx was a nostalgist who believed in the idea that technology could free us and allow us to be human again. I don’t want to turn the clock back, but I want to make it clear that the things the tech-optimists and utopians did promise us have not materialized. The European: The opportunities have been squandered? Keen: Many argue that the Internet has let us down, but the Internet is not a thing. The Internet didn’t promise anything, but people like Kevin Kelly, Chris Anderson or John Perry Barlow promised that technology would increase democracy and equal opportunities and create lots of new jobs – that simply isn’t true. But I don’t want to criticize these tech-utopians – that would be too easy, like shooting fish in a barrel. These people have lost touch with reality. I like Kevin Kelly, but he’s a lunatic. Just the idea that technology has a soul – complete nonsense! He’s a Christian mystic who’s turning technology into a religion. But these people are not the problem. Keen: They might have lost their grip on reality, but the things they talk or write about are as real as you and me. The Internet is not just a Silicon Valley pipe dream; it’s here and it’s changing everything: journalism, the entertainment industry, education, society. Every single industry is being altered. But the promises weren’t met. Instead, the Internet has compounded a lot of things that most of us are very uncomfortable with. There are three areas in particular that I focus my critique on. Keen: First, it is fostering inequality by widening the gap between a tiny little elite and the vast majority of people. It hollows out the middle in both economic and cultural terms. That’s probably the most important point in the book, this creation of a winner-takes-all, blockbuster economy. The second point is about jobs. Instead of producing new jobs, digital technologies have only rendered existing jobs obsolete. 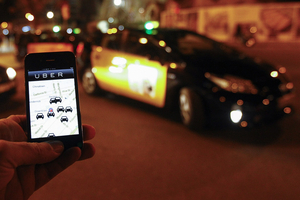 The few new jobs that are coming out of this so-called Sharing Economy platform are mainly targeting the precariat. It’s short-term employment like driving an Uber cab for an hour or two. The third aspect I focus on is the surveillance economy that has replaced the free economy. As American cryptographer Bruce Schneier put it: “Surveillance is the dominant business model on the Internet.” Google and Facebook are packaging us up. These three points are everything the Internet has so far delivered. Unless we do something about it, it’s not going to be any better in the future. The European: Let us just pick up on the point about inequality. The narrative of the Internet is commonly linked with greater equality and leveling the playing field for the disenfranchised. And indeed, things like MOOCs are opening up higher education to people who might otherwise have no access to it. Keen: In theory, yes, but in practice it doesn’t work like that. You’re right to point out that it enables certain people to attend classes they could otherwise not attend. But the MOOC industry is not yet mature enough to make a huge difference and there aren’t any coherent business models. The truth behind things like Crowdfunding is that it is following the winner-takes-all mentality of big business: the vast majority of people fail. Of course it opens doors to some and helps them promote themselves. But that happens at the expense of the rest. There are superstar professors like Michael Sandel who have thousands of followers on Youtube or Twitter, but what about all the others? What about regular professors at liberal arts colleges or middle schools? They’re going to be swept away! There is no conspiracy to foster inequality, it’s just that the network effects of this system result in a 1%-against-99% state of affairs. Look at Google! They’re supposed to open up possibilities, but they have grown into a monopolistic monster. The European: Open technology doesn’t necessarily translate into an open environment? Keen: By all means, no! The European: But is that a problem of structure or agency? Keen: Of both, but mostly of structure, I would say. The European: Would you say that the Internet is inherently flawed? Keen: I don’t like the word flawed because that would mean that there would also be an ideal arrangement where it would not be flawed. We can conclude that the Internet is a platform or an economic system that doesn’t support the middle class. In that sense, it is flawed if you believe that it should support this societal segment. Every new economic system lends itself to exploitation by the oligarchs. Google is now one of the most powerful and most dangerous multinational companies in the world with influence in so many industries ranging from mapping to advertising to the music industry. There is an old joke that goes like this: When the U.S. sneezes, the rest of the world gets pneumonia. Today, when Google sneezes, all industries catch pneumonia. That doesn’t make them a bad company though. The European: After all you just said, that’s a surprising statement. Keen: I would never demonize Google – that would be as stupid as arguing that Google is good. Google is a traditional multinational company on steroids and these steroids were caused by the network effects, the speed, and the ubiquity of this new economy. The European: Do you think that it really is a fundamentally new economy? Keen: The Digital Revolution we are currently witnessing is as important to the economy as the Industrial Revolution was back in the 19th century. It not only transforms the economy, but also society as a whole. But those changes aren’t good. The market is not working, so we need more and better regulation. The goal of my book is to help people see through this new model and realize that we have all been terribly spoiled. Amazon offers us books at dirt-cheap prices and ships them to our doorsteps. But what about Amazon’s working environment? Those working for Amazon are paying the price. They work in extremely precarious conditions so that you can buy a book a bit cheaper than in any proper bookstore. Amazon is quickly becoming a monopolist in publishing and is behaving like a bully, intimidating small independent publishing houses. They call them “gazelles”. That’s how they see it: Amazon is the cheetah and small publishers their easy prey. The cult of the consumer makes us think that online shops like Amazon are great, but we’ve been tricked! It’s too good to be true. Every great technology comes at a price. The European: You want to remind people of these trade-offs? The European: Coming back to the point you made earlier about the similarities between the Digital and the Industrial Revolution: Initially, the Industrial Revolution caused a lot of negative things like pollution and mass poverty, but eventually, it also led to a more affluent society. Couldn’t we expect the same to happen with the Digital Revolution over the long run? Keen: My point exactly! But it didn’t happen naturally; it was because of regulations. If we had just relied on the market, you would still have children working in factories and our cities would be as polluted as Beijing. We need to realize that the Internet needs those kinds of regulations. The European: The title of your book is “The Internet is not the Answer”. What is the question? Keen: What is the best operating system for the 21st century? It’s clear that the Internet can’t be the answer. When a company like Uber, a Silicon Valley-Wall Street gamble, is quickly becoming a global monopoly, something is fundamentally wrong. Uber is just one example. There are many others, like AirBnB for example. It’s this ideological belief that the market will fix everything. It will not. Currently, the Internet is becoming tangled up with the libertarian idea of the free market and that’s a major issue. The Internet is not a high-school project from somebody like Peter Thiel to prove that the market always works. The European: The European Union is much more focused on regulating the Internet, especially Google, whereas the U.S. is lagging behind in this respect. But all the free market advocates pointed out that Google didn’t actually do anything wrong, that the opportunities were just there. Keen: I don’t agree. Microsoft did the same back in the 1990s. There are antitrust rules and these were clearly infringed upon. Nobody’s making a moral argument about Google; it’s all very technical. Google is like Microsoft, and just how like we needed to tame the old Microsoft to get the new Microsoft, we now need to tame the current Google to get the new Google. The European: Most people are aware that Google and other companies are using their data, but it doesn’t seem to bother them. Harper Reed, Obama’s CTO, even argued that we willingly sell our privacy to these companies for certain features. Keen: People are bothered, but they are also lazy. And we will continue to be even more bothered as the Internet of Things is growing bigger and bigger and our houses and cars will be increasingly networked. People are creeped out and shocked by this, but the question is: Will they do something about it? Keen: People are willing to take action, but it remains to be seen how this will translate in reality. They may go out of their way and start using alternatives like DuckDuckGO. The European: Isn’t it a problem that people use technology, encrypted mail for example, to avoid the ills of other technologies? Keen: I think you’re referring to a very tiny portion of the Internet users. Apart from some geeks, most people don’t even know what encrypted mail is. My book is for a broader audience, not some tech gurus in Silicon Valley. The European: What is your advice to your readers? Keen: My book is a wake-up call. The Internet is changing all of our lives, and we shouldn’t leave it to the guys from Silicon Valley to determine how it will do so. 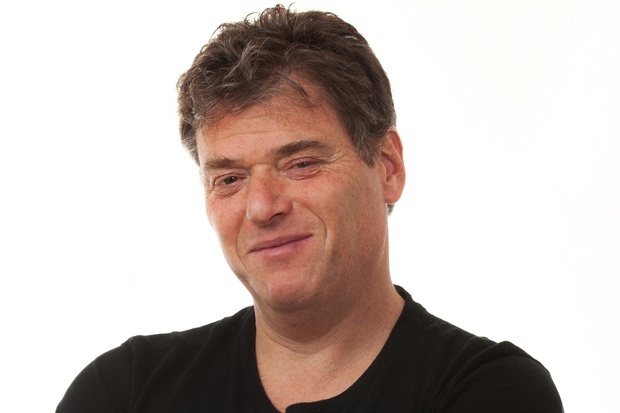 Andrew Keen is a former Silicon Valley entrepreneur and the author of the books "The Cult of the Amateur: How Today’s Internet Is Killing Our Culture“, "Digital Vertigo“ and "The Internet is not the Answer“.